Aneta and Adam first contacted me in early January. They wanted to know if it would be possible to have a shoot for their anniversary during their holiday in Malta later that month. 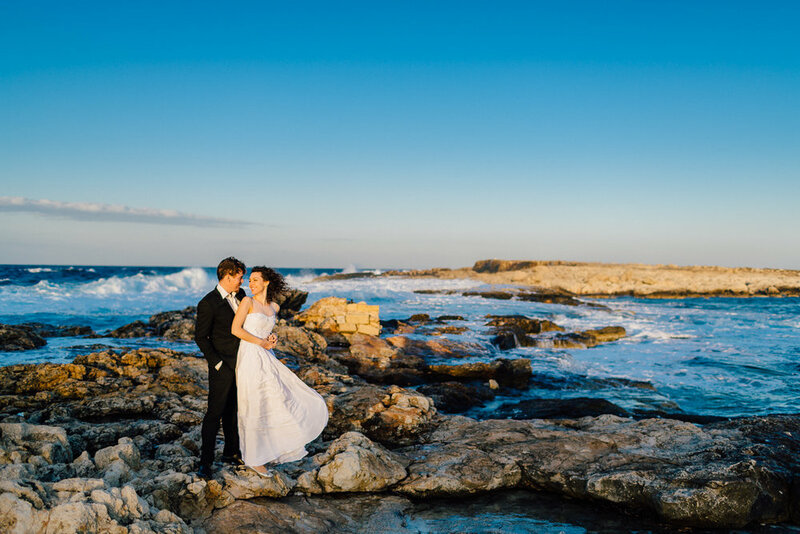 We exchanged a few emails and decided to go with a two location shoot starting at Mdina and finishing at the beach. With it being January, although we have some lovely weather we decided on a back up date just in case. I worked out the sunset time on the day of the shoot and decided on the best time to meet so as to finish the shoot with a sunset at the beach. In no time at all it was time to meet with Aneta and Adam, Sim and I were both really excited about meeting these two and the upcoming shoot. We met in Mdina and they both looked awesome, they had obviously spent a lot of time getting ready and it shows in their images. We spent an hour or so shooting in the amazing old streets of Mdina before it was time to move on the beach. I noticed it seemed a little windy and sure enough when we got to our first choice of beach it was just so windy and blowing in completely the wrong direction. Thinking quickly I decided on another location for the beach shoot. Relying on my days as a diving instructor I know the best spots to avoid the wind almost anywhere on the island. I decided we would be best to move to Qawra Point Beach and what a great decision that turned out to be. We arrived just before the sun was setting over the bay behind us and the wind was perfect. The sun was just hitting Qawra point and was a beautiful golden orange colour. We had to move quickly and in no time at all we were shooting on the point - awesome. Although it was a bit windy and cold Aneta and Adam had a great time and we got some truly amazing shots. These two make such a nice couple which I hope shows in the images below. Thank you for the shoot guys, we wish you all the best and hope to meet again soon. The photos look fantastic, thanks to both of you! We will certainly recommend you to anyone we know heading to Malta. Below are just a few of my favourite images from the shoot. 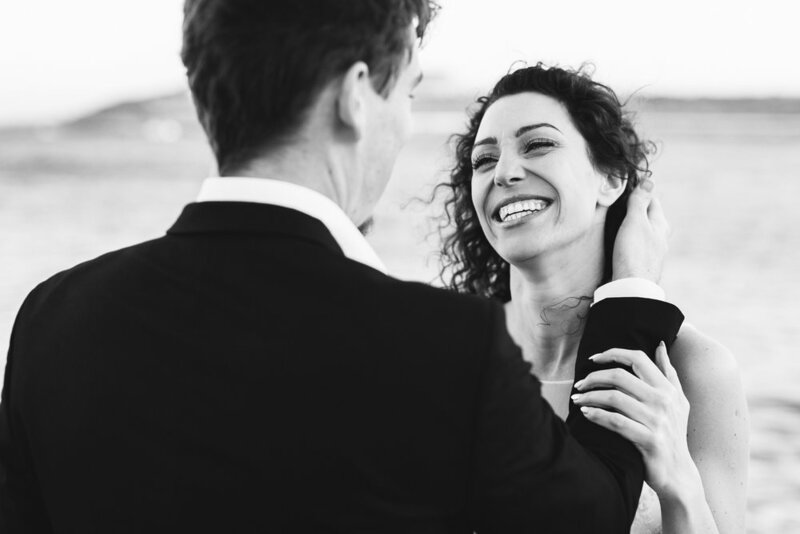 If you would like to book a shoot or a wedding photographer in Malta please feel free to get in touch.